Operations systems are often the backbone of any enterprise. Oömbaga delivers a state-of-the-art, best-in-class and an effective technology solution for your resort and vacation ownership business. Structured in modules, it can be scaled to fit your needs and stands ready to grow with you in the future. Oömbaga’s Enterprise System has been designed to provide powerful but easy to use and intuitive business solutions. With the use of a breakthrough flexible and robust Rules Engine, Oömbaga delivers flexibility that allows you to design your preferred process and report formats, often without the added cost of custom programing. It allows you to create solutions that best fit your business while supporting essential business processes. The result is a system that will not only meet but can exceed your needs. Founded in 1999, Oömbaga has 20 years of successful operations. With over one hundred successful system installations and approximately 300,000 timeshare and resort owners currently using Oömbaga solutions, in both domestic and international markets, it has a proven track record. Oömbaga’s hallmarks are ease of use, reliability, flexibility and functionality in any type of fixed, float and/or points structure. All system modules are fully integrated to provide a seamless, easy to use yet powerful tool to fully support your business whether a single site property, a complex multi-faceted operation or a full vacation club. It is designed to simply fit your unique needs. We are so confident that Oömbaga’s systems are the best and most affordable solution, we offer prospective users a demonstration or trial session to get first-hand experience to evaluate our products for themselves. We invite you to explore our products, services and company. • Reservations - Contains room inventory, booking, confirmations, reservations tracking and rental management in a format that is structured to provide direct and real-time linkage to Front Desk, Point of Sale, Accounts Receivable and other key modules. 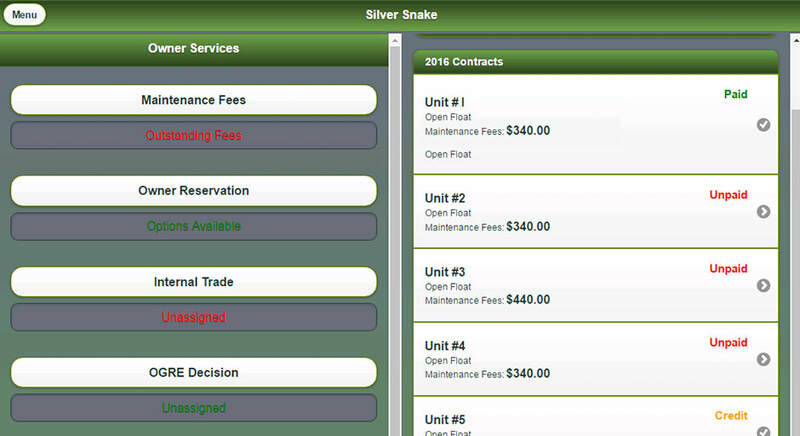 A full suite of reports and user customizable screens support full service functionality. • Accounts Receivable - Contains the Owner’s Master File that houses data input, editing and storage functions for an expanded level of owner information including all active owner and historical data. 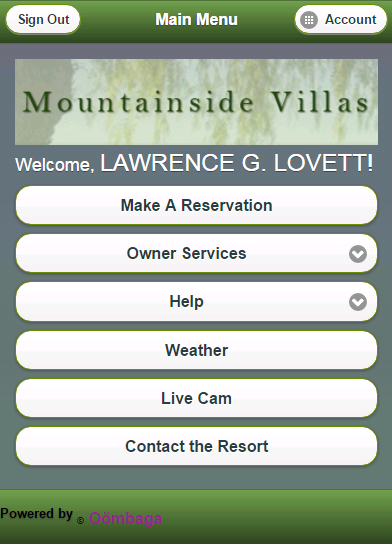 Automatic and additional billing functions are supported for maintenance fees, club dues or any special assessments. Inquiry and report capabilities are available for all transactions and includes data links across the overall Oömbaga system. • Owner Central - Contains a “mirror” Owner Master File and linkage to all owned inventory. Linked on a real-time basis to Reservations and Accounts Receivable, it is updated for all input or edits to owner accounts, including points allocations and related points transactions. • Front Desk – Provides support for all on-site resort operations as it interfaces with the full Oömbaga Enterprise System on a real-time basis. 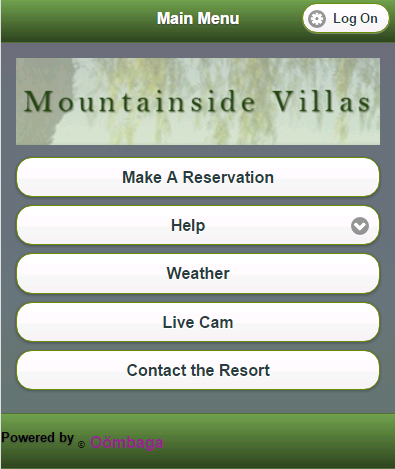 This module provides linkage to on-site activities and delivers an effective way to manage the on-site experience for all guests and results in improved guest satisfaction. • General Ledger - Supports user identified and user customized sub-ledgers which are integrated with system functional areas and receive daily batch postings from all enterprise areas and are then batch posted to primary general ledgers. Full management controls over adjusting and special entries provide for enterprise internal controls. • Communications - Tracks all communications generated by the system to the customer base. Proxy mailings can be generated, efficiently tracked for and managed by Owners Associations. Provides easy to use communication tools for multiple channels to contact customers. Contains the capability to create customized newsletters for mail or email delivery and supports mass emails based on customer selection criteria. • IT Monitoring - All Oömbaga modules have error detection and gatekeeper logic for data moving in/out to the various applications, and alerts both clients and central auditing department of any potential failures. In addition, the system auto-reconciles financial entries between user and related third party accounts to ensure accuracy of data transmissions. Sales and Marketing - Supports all timeshare sales and marketing activities throughout the sales and marketing processes. Generates tour manifests and manages tour flow. Supports sales line management, including line rotation and commissions. All contracts and proposals are easily prepared, modified and printed. System provides support for first day benefits and inventory upgrades. Real-time reports are available to track all sales and marketing related transactions. Housekeeping - The system provides a dynamic tool to manage housekeeping activities and management reporting to include a full payroll function and ability for linking to outsourced vendors. 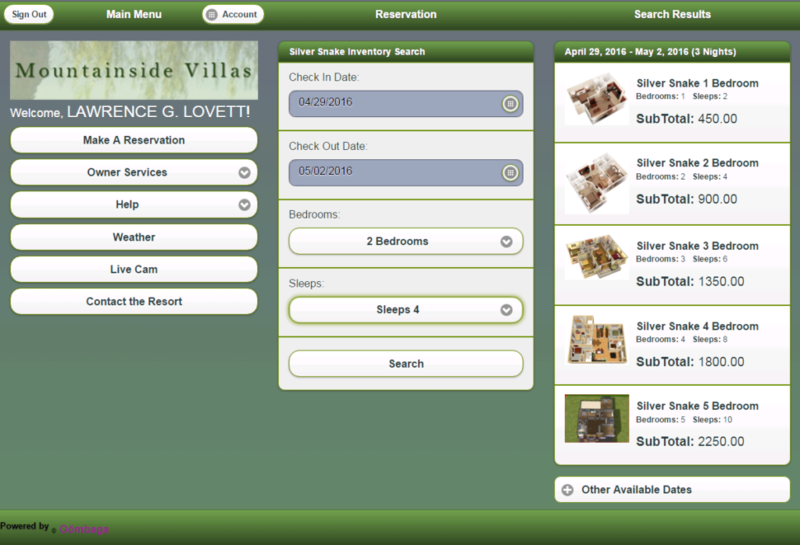 A dashboard function provides real-time housekeeping management information. Engineering - Supports Engineering functions for maintenance and management of the resort and physical property including a work order and tracking feature. Preventive maintenance schedules and reporting help to insure that all key areas remain properly operating. All enterprise modules can interface with Engineering to place needed work orders on a real-time basis. Point of Sale - Contains sales posting and internal control reporting for clerical accountability. System supports multiple point of sale categories and locations. Batch posting of sales are executed on a daily or intermittent basis for reporting and accounting functions. Interface capability to most 3rd party point of sale vendors available. Staff reporting and payroll information linkage can also be provided. Booking Engine – An online reservation feature that conforms to individual resort rental and occupancy rules on a seamless basis including allocation of inventory and automatically adjusts for lock-off units. Updates PMS in real-time for all transactions. Mobile – System interface with mobile devices including Apple, Android and other mobile vendors. The functionality creates a linkage with customers to directly interact with the system on a real-time basis and provides self-service capability for customer transactions including reservations and account payments. Resort Central - Contains a customer view that provides for a unique customer identifier for each individual or entity. In essence, a customer master file which can identify all inventory owned across a spectrum of otherwise individual properties. A collection of managed or affiliated properties can be managed as if they are one. In addition, disparate inventory can be managed as a single pool using the systems powerful points overlay capability. This feature basically provides a tool to manage associated groups of inventory as a single points club. Mortgage - This module provides a tracking and collections system for purchase money mortgages. The system ties to Owner Central and Sales Modules with interactive reporting. Third party functions for hypothecation and securitization are supported. Re-load and upgrade sales can be wrapped into a single new mortgage with multiple collateral units under the newly created mortgage. Direct deposit, payment notices or coupon books are supported to increase ease of customer payments. Securitized and hypothecated loan pools are tracked; collateral substitution and “static pool” analysis are supported. 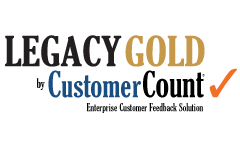 Collections - Collections link with 3rd party and internal mortgage servicing, maintenance fees and sales exit programs to create a robust, single point collection record for all customer touchpoints during the collection process including calls and emails. By providing a unified interface, it enables a collections manager to orderly pursue each area of collections in a reportable and rewardable fashion. Its flexibly supports all Owner Association collections rules for mortgages, fees, dues, late fees, assessments and interest. Title Plant - This module is specifically designed for the unique requirements of operating a captive title insurance company. It offers inventory tracking control, electronic document and data storage as well as histories. A “title plant” is created for all inventory and preparation of title policies. “Weeks to points” conversions are tracked and reconciled to maintain the “one-to-one” balance as statutorily required and to ensure no overselling has occurred. Data Search Analysis Tool - A powerful search and report generation tool to identify unique data in individual or group categories to create customized reports. The search parameters can span multiple files thus creating a report generating tool to address management control or reporting needs. This tool allows for grouping of user customizable screens that can be used to support a “management control center”. Process Controls - A tool that provides monitoring and reporting of processes across all operational areas, with history records for each transaction and audit tracking. Process definition is fully customizable and user-friendly. This is a useful tool for management to drive process consistency and to evaluate efficiencies, areas for potential improvement and any needed performance coaching. Data Conversions - Data mapping, migration and audits using automated data conversion tools. Training – Customized user training and documentation for each module. Help Desk - Real-time assistance and support. Deployment and Implementation - Management of deployment activities and schedules. Interfaces - Current interfaces are available for selected phone systems, key systems, third party support services, etc. Additional interfaces can be customized as requested. Development - User requested enhancements can be provided on a customized basis. Regular upgrades are developed from time to time to provide new functionality or usability (these updated releases, as may be developed, are provided at no cost). ​With over 1.4 million records in our database, Oombaga systems have provided us a highly reliable IT platform for our title plant. We are delighted that it is easy to use and runs with little or no need for operator assistance from your helpdesk. Fidelity Title. 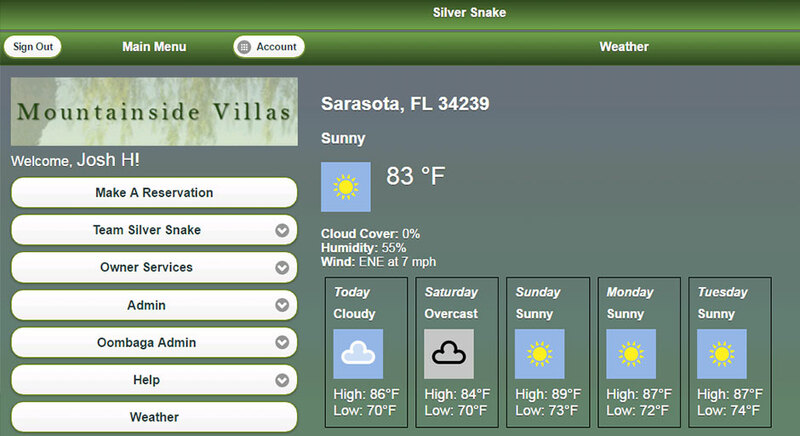 ​We installed Oombaga systems to operate our resort over __ years ago. The system’s flexibility and reliability has allowed us to focus on our business without having to worry about managing our IT needs. Because of the system’s built-in capabilities we have been able to easily customize our processing and reporting requirements. And Oombaga has consistently upgraded their system with new releases that have kept pace with the state of the art technology for our business. We have enjoyed working with them over the years and would recommend Oombaga systems to any resort operator. Galleon Resort. Oombaga has expanded my business range in ways I can't imagine. In these recent years, it only made since to provide quick, easy service to my owners. Oombaga is an indispensable tool. Every company out there promises that they can increase your revenue and make things easier for you and your business. We've seen the ads, the commercials all telling us we need them. Because of this, we were a little wary to move forward at first but I can say beyond a shadow of a doubt, Oombaga delivers on that promise. ​A friendly and caring company with staff that truly understands and responds to our wants and needs. Oömbaga gives our owners convenient insured online payments with zero hassle. We have been Keeping It Simple with Oömbaga from the beginning and plan to continue for many years to come. ​Oömbaga Investor Group, Inc. (“Oömbaga”) is primarily focused on providing management, middleware and mobile software applications to the timeshare industry and related businesses such as timeshare title insurance companies, fractional interests and condo hotels. Its business model is concentrated on licensing its software and participating in fees generated from transaction revenues as a direct result of its system’s functionality and capabilities. The timeshare industry tends to be complex due to its many components including the development and acquisition of timeshare properties, sale of timeshare increments, purchase money financing programs, owner communication and support, use rights and complex reservation schemes (denominated in combinations of days, weeks and points), use exchange, property management, inventory management, rentals and guest services. Over the almost 20 years of Oömbaga system design and development, Oömbaga and its predecessors have addressed many unique features requested by over 100 timeshare companies to create applications to support their businesses. As a result, Oömbaga’s system development work targeted a highly flexible architecture through the use of tables and use rules to support its customers, with only minimal on-going customization and user support requirements. Due to the Oömbaga system reliability, the company has been able to employ a staffing model that combines a core group of in-house system designers, developers and trainers with a group of contractors who are highly qualified, reliable and familiar with Oömbaga’s system structure and code. This model creates the capacity to address on-going system support and user training requirements as well as large system production projects, if and when needed. Oömbaga team members also support Quality Assurance testing, modeling and system audit documentation. The Oömbaga extended team of contractors are composed of highly qualified and experienced system developers. This group consists of ten people, some of which work in designated teams. All of the extended team members hold a minimum of a BA in Information Technology and most have a Masters Degree in IT. Among the group are certified Scrum Masters and Azure experts. Want a Demo of our Product? Send us an email and we'll get in touch!